This blog is on how to change the logon images in EPM system. Some call it as de-branding of Oracle EPM Workspace. I was trying to attempt this after I read a request on ITToolbox and this was straightforward in pre 11 versions. Oracle has changed the folder structure and mechanisms drastically from 11.1.2 onwards. EAR/WAR files get deployed when services are started/restarted if any changes are made to them. You may have to check your licensing agreements to see what all can be customized. This is the image file that show up on the login page of all products.If you want to change individual product logon images, then you’ll have to edit the respective images in respective war/ear files. You can use 7zip or Winrar to achieve this. I would recommend you to change the default editor in 7zip to a picture editor (like mspaint) and edit the gif file, save the file and update the ear file. There is a shared web application (epm-bpmui-shared-webapp) which gets deployed with Shared Services and this is the application which holds logon_panle.gif file information. (Had to re-search a lot to reach this file :)). You can open bpmui.ear file which is located under <HYPERION_HOME>commonbpmui-common11.1.2.0. Navigate to below given directories and change logon_panel.gif. Change logon_panel.gif files under these static directories. You can open HyperionPlanning.ear file which is located under <HYPERION_HOME>productsPlanningAppServerInstallableAppsCommon. Navigate to below given directories and change logon_panel.gif. I tired changing the image under AnalyzerResource.jarcomhyperionanalyzerimagesanalyzerclient using 7zip and it didn’t work. If you wish to change Splash images please follow the below given instructions. In-order to change the Splash image you have to open interop.ear located under <HYPERION_HOME>productsFoundationAppServerInstallableAppscommon(this can be done using 7zip or Winrar). You can find interop.war under interop.ear, open this file and navigate to the below given directory and change Shared Services_Splash.gif. You can find WebAnalysis.ear file under <HYPERION_HOME>productsbiplusInstallableApps, open this file and navigate to the below given directory and change analyzerSplash.gif. If know how to change css files then you can edit the following files to change the look and feel of explorer window. Note: If you are not using the Contrast theme, you don’t need to update the files in _hc locations. I also don’t think fusionx theme is used. Disclaimer: Check your licensing agreements to see what all can be customized. I thought I should update this post as many users are trying to follow this instructions for 11.1.2.3.500 and find that it is not working. The reason why it is not working is because the image is not picked up from bpmui.war (epm-bpmui-shared-webapp). It is now coming from workspace.war (workspace.ear) file and that is the reason why it is not picking it from epmstatic folder either. 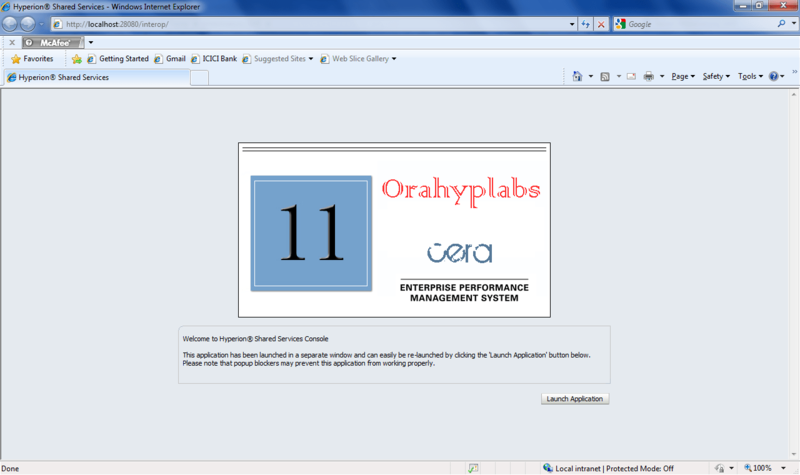 You can open workspace.ear file which is located under <EPM_ORACLE_HOME>productsFoundationworkspaceInstallableApps. Navigate to below given directories and change logon_panel.gif. Update the workspace.ear file and Restart Workspace services. So far it has done the job on our four webservers. I've got another challenge: How to change the heading text that appears in the top bar of the browser? I'd like to add the server name in the heading in order to do an easy identification of the server that the user is on (NLB provides a random server). I've not tried changing it, but worth a try. Any idea where the "application" variable is stored? I also can't find launch.title or launch.description. These used to be in a .properties file. I've extracted workspace.ear and workspace.war locally to search the contents and have come up empty. Thanks this is great, however the Workspace splash image only changed for me when hitting port 28080. What step am I missing to get it working via port 19000 as well? I reconfigured the web server to no avail. Thanks Celvin, that was a little blip in my brain, and yes it worked! Were you able to find out how to change the Banner on top saying "Enterprise Performance Management System Workspace, Fusion Edition". I need to put something else. Also, can you let me know how to increase the size of the Oracle logo so that I can put my company's logo. I figured out a way to change the title of Workspace page. I'm testing it right now and will update you once I'm done with it. There is a support article for how to change the topbar of workspace or at least there was until 6 months ago. It applies upto 11.1.1.3 for sure, not sure if after. I've posted how to change this (part II). Good to know that Oracle allows you to change the title. 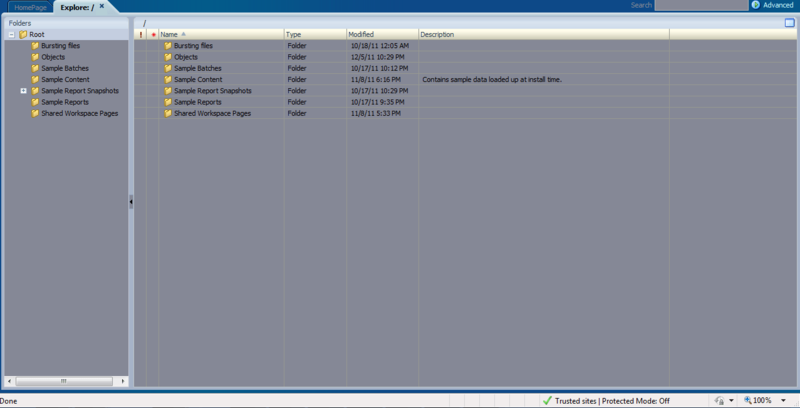 I think post changing images we need to create tmp folder for all new version of EPM..
@shivank you meant clear tmp folder? I didn't have to do it. Just clear cookies worked for me. Have any one tried it in 11.1.2.4 Workspace? I am trying to only unzip the workspace.ear and workspace.war files .Then zipped them up again. It has a slight deviation in size . The foundation services does not start up fully. WOrkspace page does not show up. Instead, if I replace the ear file with the original, it works perfectly fine. I have seen u specified that the level of customization also needs licensing. Could you please elaborate on that. Not sure, I tried, winzip, 7zip , Winrar to extract and zip . Still the same. I had same issue as you did at first updating HFM 11.1.2.4.208. Instead of unzip//zip just go to productsFoundationworkspaceInstallableApps. and right click the workspace.ear file and in 7-Zip select “Open archive”. The you can drill down in workspace.war and open the file that needs changed. Save the file and when closing the archive save the archive. Then start the Oracle services and it works. I did not have to clear tmp folder.